5PM SATURDAY, MAY 10 Jenny Han: To All The Boys I've Loved Before | Morgan Matson: Since You've Been Gone New York Times bestselling teen author Jenny Han presents her new novel, To All The Boys I've Loved Before with bestselling author Morgan Matson who is visiting with Since You've Been Gone. In Jenny Han's To All The Boys I've Loved Before, Lara Jean Song writes a letter for every boy she's ever loved--five in all. When she writes, she pours out her heart and soul and says all the things she would never say in real life, because her letters are for her eyes only. Then one day her secret letters are mailed, and suddenly, Lara Jean's love life goes from imaginary to out of control. Quiet Emily's sociable and daring best friend, Sloane, has disappeared leaving nothing but a random list of bizarre tasks for her to complete, but with unexpected help from popular classmate Frank Porter, Emily gives them a try in Morgan Matson's Since You've Been Gone. Jenny Han is the New York Times bestselling author of The Summer I Turned Pretty series, Shug, and the Burn for Burn trilogy, cowritten with Siobhan Vivian. She is also the author of the chapter book Clara Lee and The Apple Pie Dream. A former children's bookseller, she earned her MFA in creative writing at the New School. Visit her at DearJennyHan.com. Morgan Matson received her MFA in Writing for Children from the New School. She was named a Publishers Weekly Flying Start author for her first book, Amy & Roger's Epic Detour, which was also recognized as an ALA Top Ten Best Book for Young Adults. Her second book, Second Chance Summer, won the California State Book Award. She lives in Los Angeles. Visit her at MorganMatson.com. Join young adult authors, Jenny Han, Morgan Matson and Sara Zarr for a discussion and reading featuring their new young adult novels, All the Boys I've Loved Before, Since You've Been Gone, and The Lucy Variations. Jenny Han's All the Boys I've Loved Before is the story of Lara Jean, who has never openly admitted her crushes, but instead wrote each boy a letter about how she felt, sealed it, and hid it in a box under her bed. But one day Lara Jean discovers that somehow her secret box of letters has been mailed, causing all her crushes from her past to confront her about the letters. As she learns to deal with her past loves face to face, Lara Jean discovers that something good may come out of these letters after all. Morgan Matson's novel, Since You've Been Gone is about Emily who, Pre-Sloane, didn't go to parties, she barely talked to guys, she didn't do anything crazy. Enter Sloane, social tornado and the best kind of best friend—the one who yanks you out of your shell.But right before what should have been an epic summer, Sloane just... disappears. No note. No calls. No texts. No Sloane. There’s just a random to-do list. On it, thirteen Sloane-selected-definitely-bizarre-tasks that Emily would never try... unless they could lead back to her best friend. Apple Picking at Night? Ok, easy enough.Dance until Dawn? Sure. Why not? Kiss a Stranger? Wait... what? Sara Zarr's novel The Lucy Variations takes readers inside one girl's struggle to reclaim her love of music and to find joy again, even when things don't go according to plan. Enthusiast of the young adult novels won't want to miss Jenny Han and Siobhan Vivian when they come to Octavia Books to discuss and sign their new joint novel, Fire with Fire. When sweet revenge turns sour… Book two of a trilogy from New York Times bestselling author Jenny Han and Siobhan Vivian. Jenny Han is the New York Times bestselling author of The Summer I Turned Pretty series, Shug, and the Burn for Burn trilogy, cowritten with Siobhan Vivian. She is also the author of the chapter book Clara Lee and The Apple Pie Dream. A former children’s bookseller, she earned her MFA in creative writing at the New School. Siobhan Vivian is the author of the young adult novel The List, as well as Not That Kind of Girl, Same Difference, and A Little Friendly Advice, and the Burn for Burn trilogy. 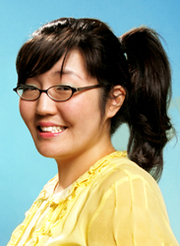 A former editor for Alloy Entertainment, she received her MFA in creative writing at the New School. She teaches creative writing at the University of Pittsburgh. Jenny Han & Siobhan Vivian are in Towne! Burn for Burn, the first in a YA trilogy by co-authors Jenny Han and Siobhan Vivian, introduces readers to a tale of three very different high-school girls who overcome their differences and band together to seek revenge on those who have wronged them – with a little paranormal assistance. The former neighbors are now long-distance collaborators. Jenny’s previous titles include the Summer series, and a pair of books for middle graders. Siobhan’s previous teen novels include April’s well-received The List. JENNY HAN reads from THE SUMMER I TURNED PRETTY . Jenny Han is currently considered a "single author." If one or more works are by a distinct, homonymous authors, go ahead and split the author. Jenny Han is composed of 3 names. You can examine and separate out names.